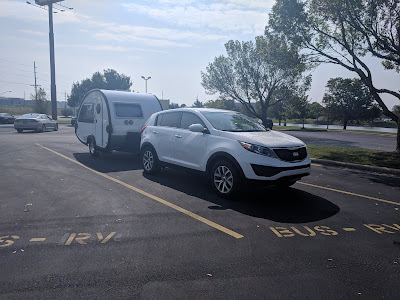 I am not ashamed to say that I am a new RV-er. As a newbie, I welcome every experience with open arms: the good, the bad, and the ugly. That is what learning is all about, so you might as well embrace it and enjoy the journey -right? My first trip was not for recreation. 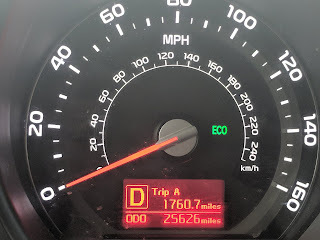 I drove 535 miles all the way to Indiana out of necessity. Those of you who are looking to buy an RV already know the deal. Sometimes what you are looking for can not be found in your area and you must be prepared to travel to see, feel, and walk around the item you desire in order to get a true feeling for the dealer as well as the vehicle. Do a lot of research and ask questions but also be prepared to seize the moment when the time is right. You do not want to miss a great deal when it comes along! I am happy to report that my purchase was a good experience. I followed my gut and called the dealer when the Tab S model with the right floor plan, color, and price popped up on a site I visited for months. When I discovered the RV was in Indiana, I had to make a decision whether to have a family member near that area pick it up and drive it to me or go and get it myself. I chose the latter. 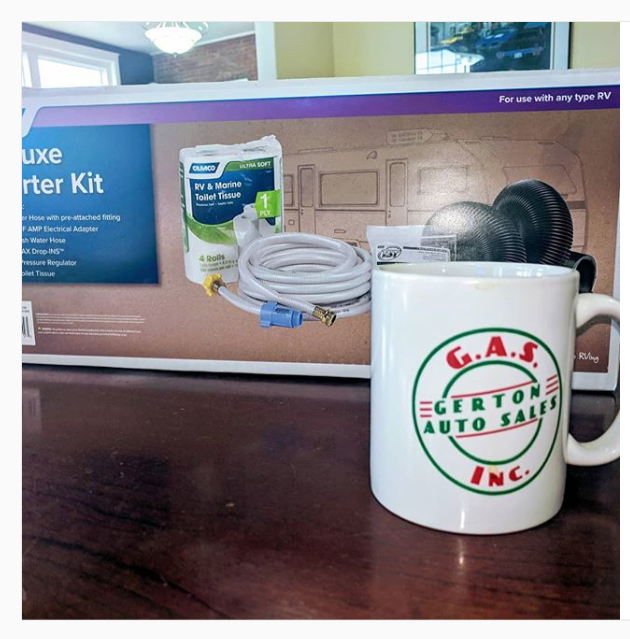 The folks at Gerton Auto Sales made me feel at home and took their time with me during every part of the process. I consider myself blessed to have found them online. I can not say enough about this particular dealer. They hitched me up to my Kia Sportage, provided a starter kit of supplies, and even got behind the wheel to adjust the brake controller. I will forever be grateful for their kindness and hospitality and am happy to be part of the "Gerton Auto Sales Family!" 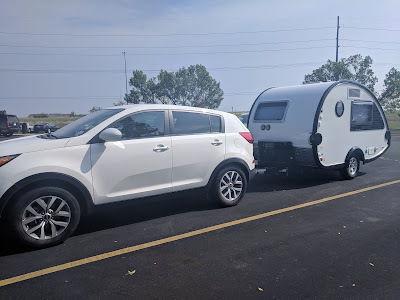 Towing the Tab Trailer is a dream. 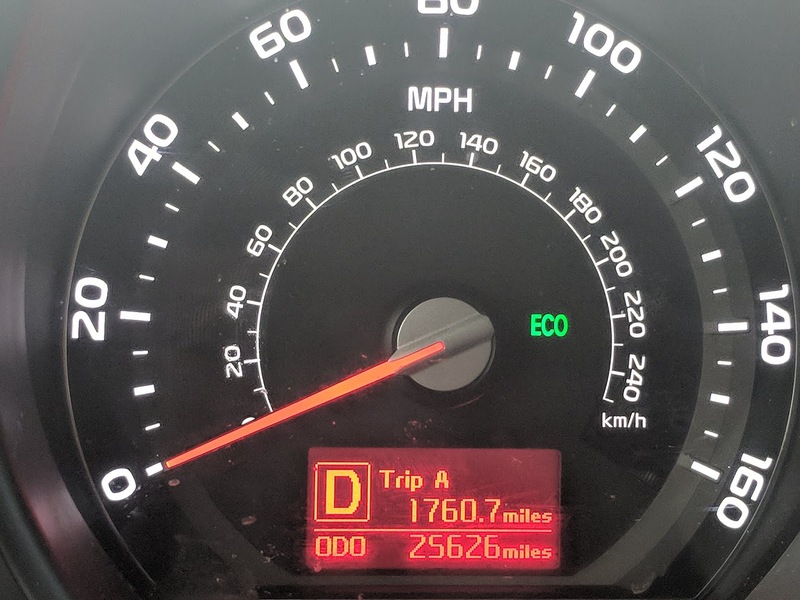 I admit, it was a bit nerve-wracking getting in front of that thing and facing the mileage for the first time, but after a few hours on the highway, my fears and concerns slowly but surely subsided. The breaks work! (check) The T@b trailer tracks my car! (check). The Kia CAN pull this thing after all! 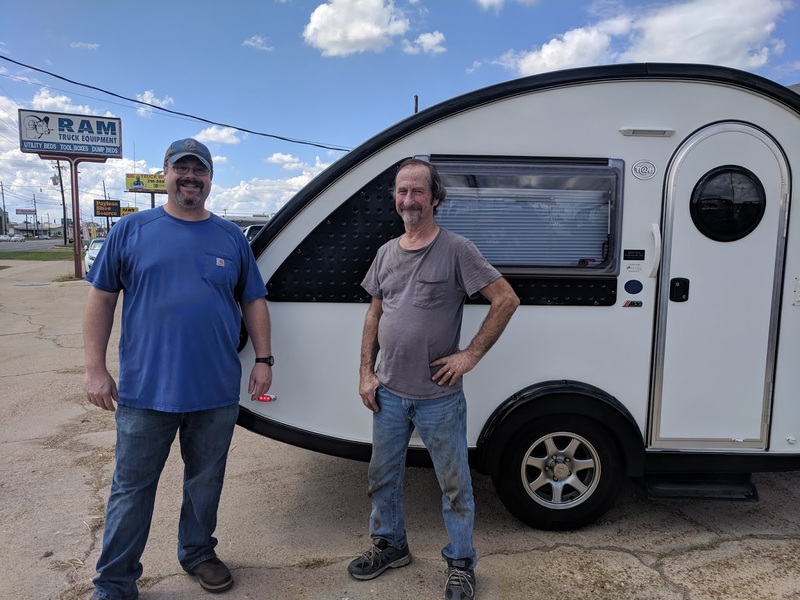 ( check) All of these thoughts popped in my mind during the first thirty minutes of towing and I can not describe the elation I felt driving in front of the very RV that I prayed would work with my vehicle. I truly love driving my Kia Sportage and the thought of trading it for another SUV or truck was cause for sleepless nights. I believe the pairing is a match made in heaven. What do you think? The drive was smooth and I kept the speed between 55 and 60 as I drove 5 hours north toward Chicago to visit family. My Dad studied the Tab and immediately informed me that "This thing is light as a feather! You can easily go 70 miles per hour!" Though skeptical at first, I trusted my Dad's experience. He has driven trucks and heavy equipment from cranes to tree chippers for his tree service in Northern Indiana. I knew that I could trust his judgment so, indeed, on the way home, me, my Kia, and J@bez the T@b Trailer traveled between 65 and 70 on the trip back home without any issues. One of the joys of traveling, for me, is stopping for a good meal and, yep you guessed it, a hot cup of coffee! 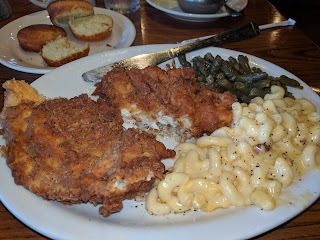 I included a couple of stops at Cracker Barrell along my route and I was not disappointed. Upon leaving the dealership I drove straight to the Cracker Barrell in Evansville, Indiana to eat dinner. I was starved and a bit road weary so I pulled into an available RV parking spot and popped in for a hot meal of fish nuggets. Surrounded by favorite hotels that I considered booking for the night, an idea popped into my head. I asked the server if I could see the manager and she beckoned him over. When I asked him about his overnight policy for RV-ers he asked me if that was indeed my T@b parked outside. I told him I had just purchased it. With a smile and a wink, he welcomed me to stay overnight and I assured him that I would return for breakfast in the morning, which is exactly what I did! Staying in my little T@b was very satisfying. 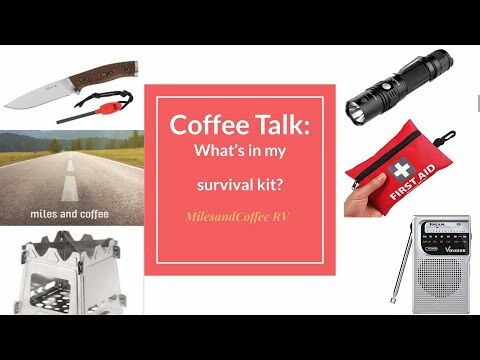 This was as adventurous as I dared to be on my maiden trip in my new RV. If someone had predicted this would be a part of my experience I would have said they were crazy but it was easy. I felt safe, secure, and went fast asleep, comfortably I might add! The added bonus? I saved on hotel fees. It felt as though I stayed in a first class hotel with breakfast service. Besides, I had everything I needed packed in a bag in my car. The next morning, I could not resist taking in the view from the window of my RV. 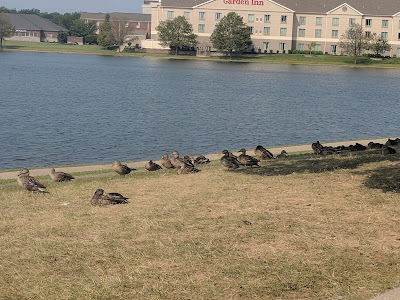 The ducks were taking in the sun. I would imagine that they enjoy coffee breaks as much as I do! Thankfully, my visit with family was invigorating and rewarding. 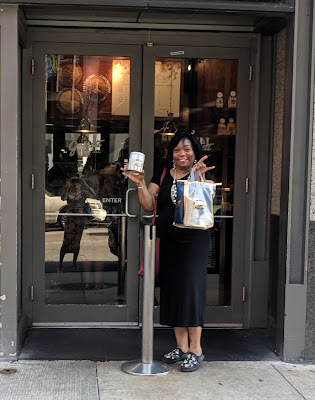 They indulged my request to stop at Garrett's Famous Popcorn in Chicago before returning home after dinner in China Town. You can not stop in Chicago without purchasing Garrett's Mix of Cheese popcorn, Carmel Popcorn with nuts. It's a family owned business that has become a Chicago Tradition. There is usually a long line no matter which location you choose so be prepared to wait and enjoy the aroma. That is part of the experience! 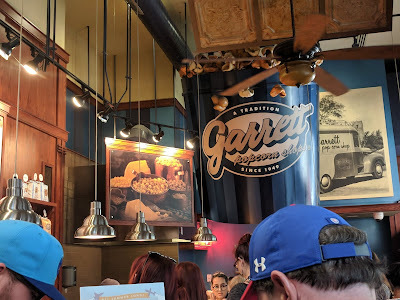 I grew up in Chicago so Garrett's Popcorn brings back fond memories of my childhood. It's like taking a nostalgic trip down memory lane with each and every bite. Garrett's is truly Happiness in a bag! When it was time to for the the long journey home, I once again took an overnight stay at Cracker Barrel. I drove from Indiana to Memphis, Tennessee in one shot before calling it quits for the night. According to the manager, this particular restaurant was a "test kitchen". 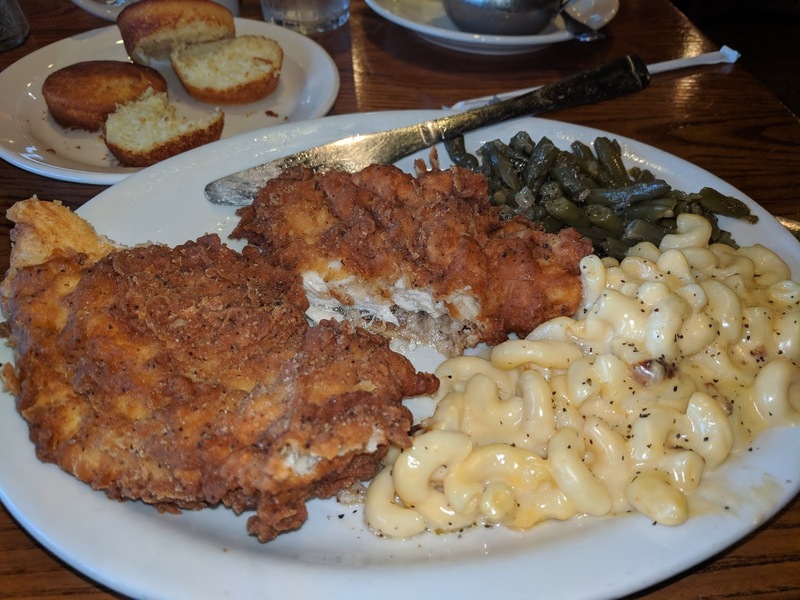 He recommended the buttermilk battered fried chicken breast meal. No other Cracker Barrel carries this item so I told him I would try it. Boy, am I glad I did! The chicken was crunchy on the outside, juicy on the inside, and seasoned to perfection. I asked to meet the chef. It was that good! To top it all off, I had two cups of coffee with cream. I earned it! All in all, I am thankful for those who encouraged me to "Go for it!" I am also grateful to the people who helped me get started on my new journey. I must give a shout out to Jake and his team of technicians at Ram Truck and Equipment in Monroe, Louisiana. They were patient and very gracious to me. It took three trips to the shop to attach the hitch, brake controller, and accessories to my car. I will definitely go to them for future service and maintenance. I promised Jake (on the left) that I would bring my T@b trailer in for him to take a quick tour when I returned home. When I asked if he would take a picture next to my trailer he humored me. As I reflect on the journey to pick up my tiny trailer, I am filled with awe and anticipation for things to come. I am so glad that I decided not to wait. New learning takes time but it is worth it. There will be pitfalls along the way, I am sure, but that is true of anything in life. A wise man once said that it is not the destination but the journey that counts. Life IS a journey. As I sip another cup of coffee, I am filled with a sense of wanderlust. Where will the T@b take me next? Stay tuned!